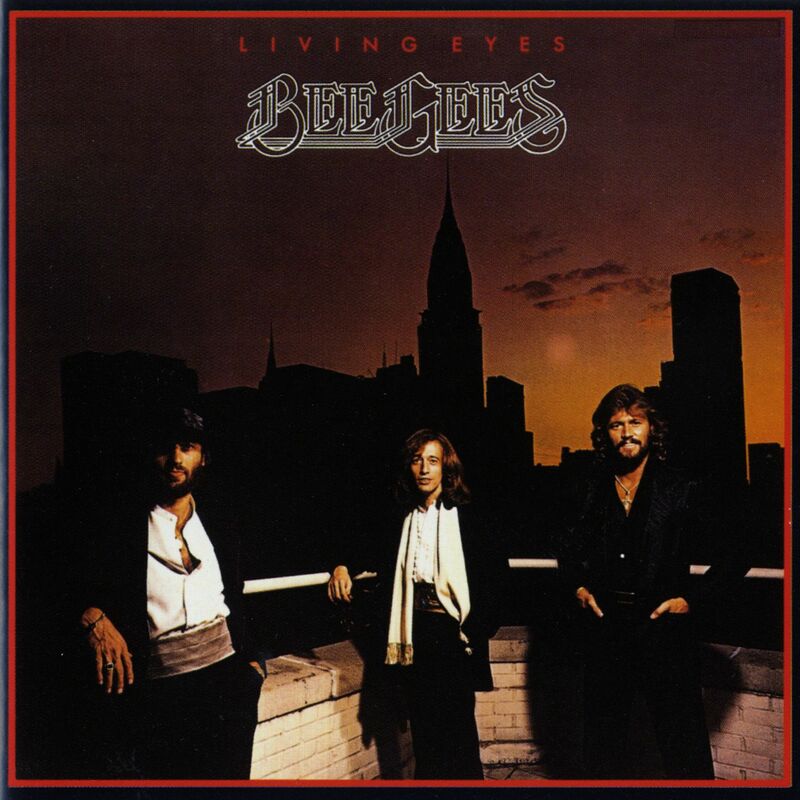 One of the most beautiful albums in the Gibb cannon, 1981’s Living Eyes. Two days on and the feedback from Barry Gibb’s interview on Sunday evening’s episode of The Two has been overwhelming. That said, it’s fair to say that after all previous interviews I’ve done with Barry stretching back to 2005 (this is interview #5), the response from both diehard and casual fans has been immense and positive. But this was something else. People have called me on my talkback shows to say this was one of the most emotional interviews they’ve ever heard on the radio with anyone. Hyperbole or not, this blows me away. As to how it happened, it could be for a number of reasons. One is that as the only surviving Gibb brother, Barry is now more free to speak about the complex relationships he had with Robin, Maurice and Andy – the three younger brothers he so dearly loved. Another reason is that Barry knows he is in safe hands when I interview him. Then there’s the fact my co-host Pam Corkery approached this interview with the sensitivity and empathy that it required and used this to broach some sensitive topics. This is a man who has experienced the greatest of success as well as the most devastating personal loss and Pam got this beautifully. And the final and most important factor I’d put forward as to why this interview resonated both so much for Pam and me, with our audience in New Zealand and with fans around the world is that quite remarkably, Barry is both at peace and is almost staggeringly humble. Not long before he died, Robin said he wondered if the all too frequent tragedy his family had suffered was some kind of karmic balance for their record breaking achievements. This jarred with some who are more inclined to believe that the rain falls on us all. Contrasting with Robin, Barry clearly doesn’t think in terms of this kind of cruel karmic balance. It was so moving to hear a man who has been through such grief say that “someone must have been smiling on me,” when talking about the steadfast support of his wife Linda and the gift of his five children and six grandchildren. Figuring out how Barry has reached this position of peace with the world is fascinating. During the interview he spoke to us in endlessly quotable sentences; phrases of real beauty. I am in the process of converting the full interview into a feature-length article for the Listener Magazine*, but in the mean time, here is a sample of what I am talking about. I’d mentioned to Barry about his recent performance at the country music’s most hallowed turf the Grand Ole Opry and how the version of How Can You Mend A Broken Heart he did with bluegrass great Ricky Skaggs was the most powerful version of that song I could remember hearing. The two have collaborated on a new song of Barry’s called Soldier’s Son and it was clear to me that just weeks after Robin’s death, Ricky had taken it upon himself to look after his new friend. BARRY: Ricky Skaggs was helping me through that darkest period. He is by nature a devout Christian and he took me there and made me understand. Letting me do those shows and knowing how much I love that music….you know they’re very pure [at the Grand Ole Opry], they don’t let people play with them if they don’t think it’s right. But there I am at the Grand Ole Opry and he just put me under his wing and we had a ball. When I finished doing that, my love for that kind of music now will never go away, it’s in deep. And if you hear an album out of me in the future it will be a great mixture of that kind of music and Mr Skaggs will be on that album with me. I then asked Barry about the detectable spirituality which implicitly rather than explicitly runs through some of his music. I mentioned about the late Billboard magazine editor Timothy White who believed this was a large (if subconscious) part of the Bee Gees appeal. Referencing songs like the stunning Spirits Having Flown, Too Much Heaven and most directly, a little known piece of understated magic from 1981’s Living Eyes called Nothing Could Be Good that features the lyric, “sing to the Almighty, if that’s what you need to do, love what is true,” I wanted to know if religion or spirituality was an ephemeral thing for Barry or something more. BARRY: Religion in and of itself and spirituality are the absolute pure tools of a songwriter. For instance, if you listen to mountain music or immigrant music or bluegrass music, religion was the only subject. So when you listen to that kind of music you realise they didn’t have anything else but religion. So religion over the years and through rock ‘n’ roll and through people like Elvis Presley….listen to him singing gospel music, c’mon….it never went away, it never will and the idea of true faith is behind every artist that ever really gets to the place they want to be. “The idea of true faith is behind every artist that ever really gets to the place they want to be.” That is a sentence of equals parts wisdom and intrigue. Thank you Barry, thank you for the music that means the world to me and thank you for the unforgettable lessons in humility. Click here to link the Listener magazine article as mentioned in the article. Well done. That is one of the most emotional interviews I have heard from any of the brothers. Barry was extremely honest, candid and very humble. I look forward to reading the full article. Tim, we Brazilians would appreciate if you really convert the full interview into an article for publication. Most of us do not speak English and is always easy to understand a written article. In advance I thank you very much. I felt incredibly happy after listening to Barry's interview. He is the man! Tim, kudos for a most revealing interview! Robin's use of "karma" is a common misconception of its original meaning in Buddhist philosophy. But we may grant he was speaking from a place of despair and anguish, to which anyone going through suffering on all fronts are susceptible. As Andy and Maurice were both on the "comeback trail" before their untimely passing, just as Robin had been diligent in his diet and related regimen, the events that transpired understandably drove him to grasp for answers, rather than intentionally callous or offensive to the Christian faith. For someone living in a renovated monastery, sang centuries old Anglican hymns for Christmas carols, tried his hand at the same on "Lord Bless All", and extolling the spiritual link between the dead and living on "Titanic Requiem"…he was not someone indifferent to the higher powers' all-embracing equality for us all. Thanks again for a fabulous keeper. Love Barry's interview! Looking forward to the article you write re: this interview AND any follow up articles / interviews you hopefully have after the NZ concert. Thx! Thanku Tim for being instrumental in allowing us into Barrys heart and soul. A truly wise, spiritual and very humble man. A wonderful man indeed our Barry, humble sweet and true. This how he is in public and private. I have had the honnour of meeting him on several occasion. He`s honest, caring and is completely devoted to his family. His rock is his lovely wife, Linda. Looking forward to the complete interview.